RUSH: Ernie, Saratoga, New York. Welcome, sir. Great to have you with us. CALLER: Oh, it’s a privilege to speak to you, Rush. How you been? CALLER: I do have to take issue with something I’ve been hearing the last couple times I’ve been listening to you about the debate over the state tax write-off. I’m from upstate New York, so they’re gonna eliminate that write-off for us, but I’ve been hearing a lot about somehow West Virginia and Tennessee have been subsidizing New York and California because they don’t get that write-off. And I just don’t think that’s being truly honest. It’s a nice talking point, but it doesn’t fly. The revenue coming into the government, into Washington from New York and California is way higher than those other states. And the word “subsidize” has been used by you, Hannity, even Levin, and I just don’t think it flies. RUSH: Well, that’s because we got the talking points from Trump. RUSH: I’m just kidding. I’m just kidding. There are no talking points from Trump or anybody else. CALLER: I know. I know. 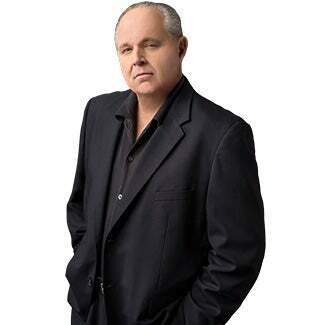 RUSH: I’m just trying to jab the media. RUSH: I know how you’re looking at this, and in the way you’re looking at it, you have a point. You look at your state, New York, or California, because of the population of those states, there are many more taxpayers, and therefore the federal taxes collected from those states are much greater than federal taxes collected from states with lesser populations. You mentioned West Virginia, you mentioned Kentucky, which is a no income tax state, if you want. And looked at that way, you have a point. The reason why the “subsidy” word is used is you all live in states that tax the bejeezus out of you. CALLER: Tell me about it. CALLER: Right, because there’s no way that Tennessee is contributing more to Washington than New York state is. RUSH: — a point there. RUSH: Okay. Why do you think this policy was included in this tax reform bill? CALLER: Personally? I think it’s a little bit, you know, getting back at the blue states, to be honest with you. RUSH: What do you mean, getting back at the blue states? CALLER: You know, kind of like payback for not supporting the current administration. RUSH: But it’s not just the current administration they don’t support. They don’t support Republicans, period. CALLER: Oh, that’s true too. On a whole, believe me, a lot of people up here in upstate New York do. RUSH: What would you say if I told you that one of the tax writers, when I asked them about this, said, “You’re damn right. We’re removing deductibility because it’s about time these people in these states found out how much their liberal leadership is taxing them”? CALLER: Believe me, we already know. We already know. RUSH: Okay. Well, what could be done to soothe your feelings over this, other than to stop using the word “subsidy”? 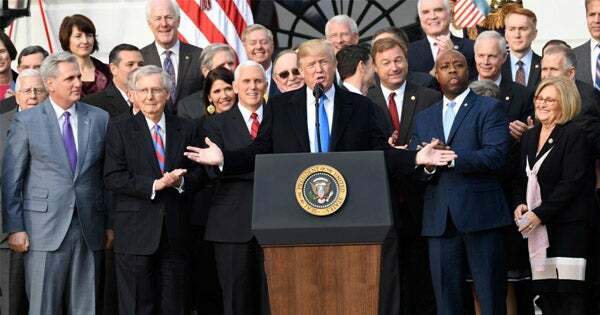 RUSH: What the subsidy means is that the fact that people in these states can deduct those taxes is what allows governors and legislatures in those states to charge such high tax rates and yet the people in those states don’t really end up paying it because they get to deduct it off their federal. I think the meaning of this here is that because you are able to deduct that from your federal taxes, you’re not paying as much to the Feds as you would be because you get to deduct what you’re paying to the state, and it ends up being an out-of-proportion balance based on the high tax rates that you’re paying. The deduction you get is huge compared to people in other states whose rates are not as high, who still deduct their state and local taxes. And I don’t doubt there’s a political component in this. I don’t know that anybody would own up to it and admit it, but I don’t doubt that there is. You know, why should Democrats who want to charge people 10 and 12, in California 14% state income tax rate, why should they be able to get away with that and not suffer politically for it? And the way they get away with it and not suffer for it politically is that you get to deduct it, a portion of it. And so they get to continue to raise your tax rates and soak you and don’t pay any political price for it. We’ll see. The real reason given, by the way, the actual real reason given, Ernie, was we had to find a way to pay for tax cuts for others, and people in these states are considered the wealthy, and the wealthy are having a tax break removed so that the wealthy theoretically are paying more so that the tax cut can be more applied to the middle class. That’s the actual tax cut or financial reason that was given to me for the purpose of this.